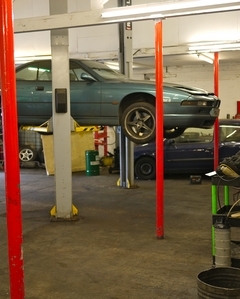 Regular servicing and maintenance will help reduce your vehicle running costs to a minimum. Regular vehicle maintenance not only ensures optimum performance, reliability and reduced running costs, it also covers key safety areas such as tyres, brakes, suspension and steering, to avoid any unforeseen breakdowns which could be costly. De Lisle's service department in conjunction with the Motor Industry Code of Practice will give your car a good honest service. Our pricing policy is open and honest; our invoices match quoted prices and all work is completed as agreed. 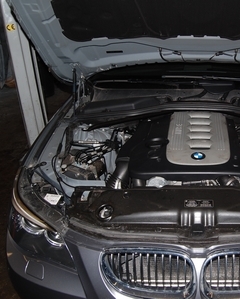 We are equipped with the latest diagnostic technology to help us solve problems with your vehicle as efficiently and speedily as possible. Our ongoing investment in training for our staff ensures that our people are well equipped to cope with the demands of new vehicle technology which will reduce your labour costs significantly. Our car service receptionists have expert knowledge and can offer advice on car servicing and repairs. We offer a free local collection and delivery service for customers so you can have your vehicle work completed with as little inconvenience to you as possible. We can provide an initial inspection and quote should you prefer which will give you an idea of cost before you commit. We carry a full range of top brand tyres and a superb choice of exhaust systems along with main dealer support. We believe that regular servicing helps keep your vehicle in tip top condition and so helps to keep your fuel bills down.